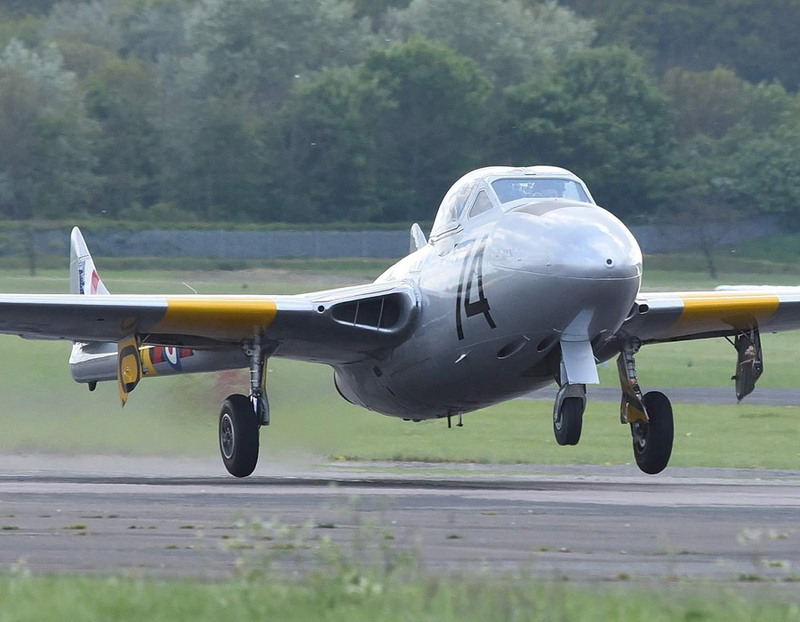 After de Gloster Meteor, the de Havilland Vampire was the second jet fighter operated by the Royal Air Force, first as an interceptor, later also as fighter-bomber. The Vampire – built in 3268 units, was also the first British single-engine jet. The engineers started working on the Vampire early in WWII, in 1941. With its distinctive twin-boom design, it was is initially designed as an experimental aircraft to test the groundbreaking jet propulsion innovation. 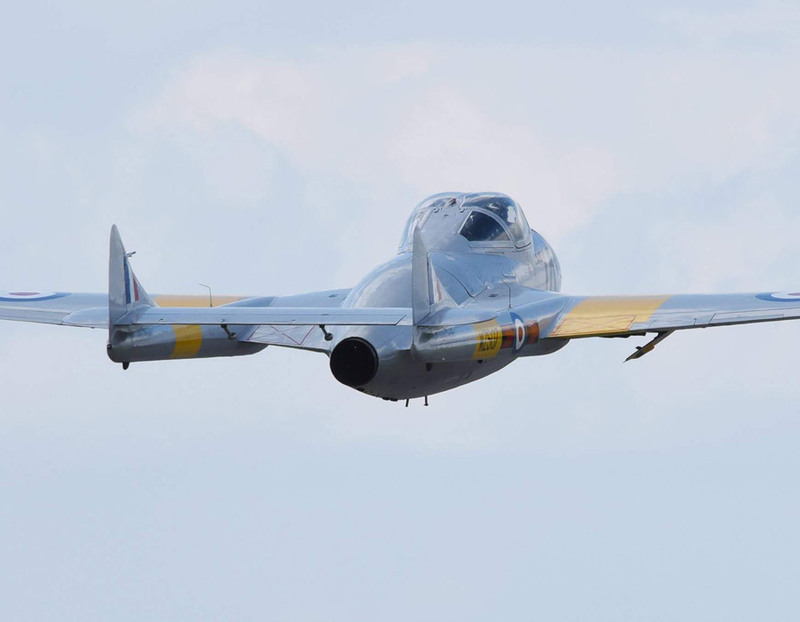 In 1944 the Brits decided to actually use it as a combat aircraft and started mass-production of the Vampire, but the first Vampire in operational service with the RAF entered service after the end of the Second World War, in 1946. This versatile aircraft set many aviation firsts and records. In Switzerland, Vampires were kept in storage as long as 1988, and the last operational one was used until 1994, as a target tug, painted in high visibility colours. 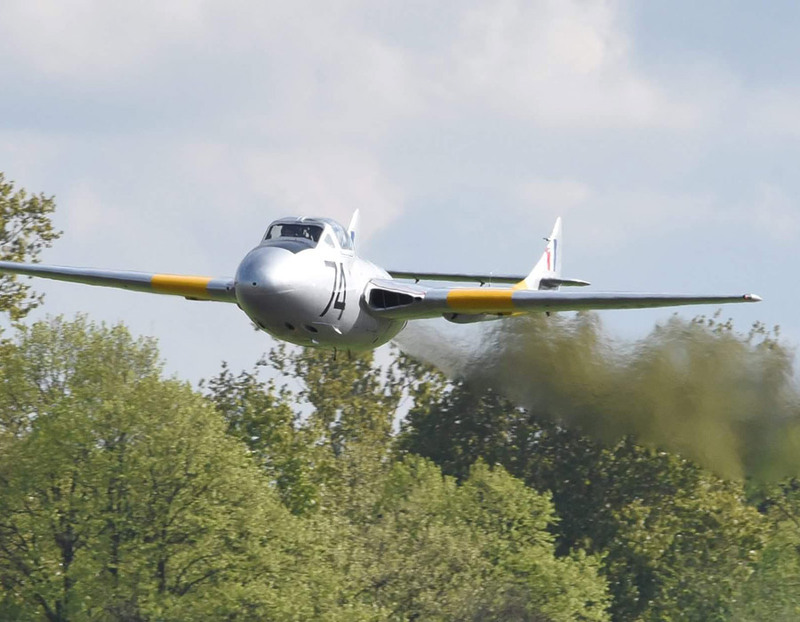 With a maximum speed of 882 km/h (548mph), the Vampire is considerably faster than the Jet Provost. There are basically 3 types of seating arrangements in jets offered by MiGFlug: You sit behind the pilot, at the same height (MB-326, T-33). You sit behind the pilot, but with a higher-up back seat with a massively improved visibility (L-39, MiG-29), or you sit next to the pilot (all 3 British aircraft: Hawker Hunter, de Havilland Vampire, Jet Provost). The British side-by-side seating arrangement is the best option, as you can not only see outside of the cockpit perfectly well, but you can also watch the pilot “at work”. You will be given the control stick to experience how it is to control this legendary historic jet aircraft. With all preparations, discussion of your personal flight program, safety and in cockpit-training – the whole event will take about 3h. Ready for your historic Fighter Jet Adventure? Complete the booking form and you will hear from us shortly! 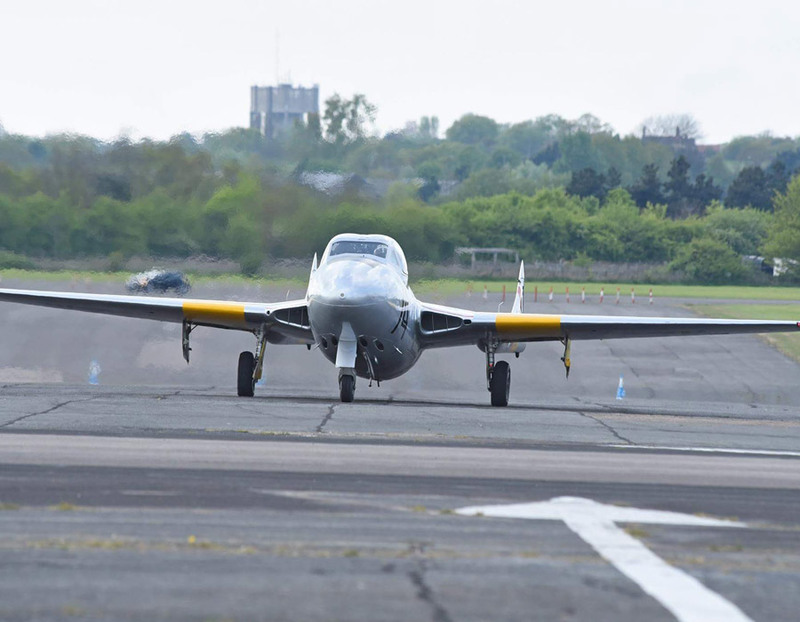 The best gift for the best person in the world – flying a historic Vampire fighter jet in the UK! You would like to learn more about our jet flights, group and incentive offers? Do not hesitate to contact us.